The newSamsung Galaxy S6was criticised for its lack of waterproofing (found previously on the S5). 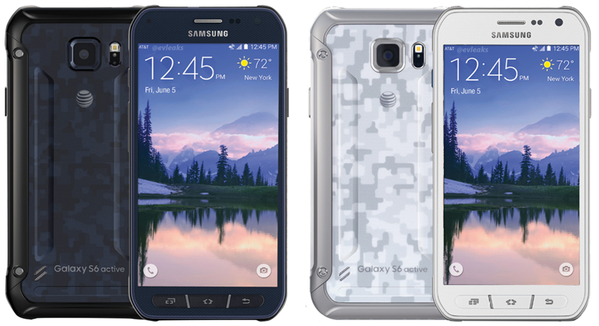 But it seems the Korean mega-brand is to make amends, if this leak of what looks to be the Galaxy S6 Active is anything to go by. Better-than-usual illicit images of the new handset showa waterproof body that is bulkier and toughened to withstand harsh treatment. It will also have a much larger battery, according to the leak source, packing a 3,500 mAh battery compared to the S6's 2,600mAh unit. That's also larger than the Galaxy Note 4 and iPhone 6, by the way. The handset still has a camera and heart rate monitor in the same place as the S6, but the loudspeaker has moved to the back from the bottom of the phone, where it resides on the S6 and S6 Edge. The phone has three ruggedised buttons on the front, meaning the fingerprint sensor is dropped from the device. However, again unlike the S6, but like the S5, the S6 Active may sport a microSD card slot. Other than that, we can expect to see the same specifications as the S6 including the 14nm Exynos 7420 octo-core processor, 5.1” QHD Super AMOLED display, 16MP main camera and 5MP front-facing lens. GSM Arena got the pics from an anonymous tipster and serial leaker @evleaks also tweeted pics of the new phone. No word as of yet on the release date but given the S5 Active has been around for about a year, launch date can't be too far away now.